The San Antonio Spurs will travel to Houston to face the Houston Rockets on Friday night. With the current standings, this game may be a preview of a Western Conference first-round matchup as The Spurs are 6th and the Rockets are 3rd in the West. The Spurs will enter this game on the back of a 110-105 loss at home to the Miami Heat. The Spurs are 3-5 in their last 8 road games and 13-22 overall away from home. In their loss to the Miami Heat, the Spurs had 6 double-digit scorers but nobody had 20 or more points. The Houston Rockets, on the other hand, are 26-10 at home this season and are 8-2 in their last 10 games. However, they did lose their last game Wednesday night 126-125 to the Memphis Grizzlies in overtime. James Harden had a great game but Chris Paul was the only other Rocket with 15 or more points (18). The Rockets' bench production was also sparse as they contributed 23 points in the losing effort. Head coach Gregg Popovich will likely start G-Derrick White, G-Bryn Forbes, F-DeMar DeRozan, C-Jakob Poeltl, and F-LaMarcus Aldridge. Mike D’Antoni will likely start G-James Harden, G-Chris Paul, C-Clint Capela, F-Iman Shumpert, and F-P.J. Tucker. The last time these two teams played in Houston the Rockets defended home court with a 108-101 victory. The Spurs do average 111.8 ppg but it drops to 110.5 when on the road. The Spurs also average the fewest 3-point attempts per game in the NBA at 24.9. However, their 3-point field goal percentage is 1st at 39.9%. Players like Forbes, Gay, Cunningham, and Bertans all shoot over 40% from beyond the arc. The Spurs are a tough team to play because they do not throw away many possessions. They average 12.1 turnovers per game which is the best in the NBA. The Rockets will want to harass the Spurs ball handlers to disrupt the Spurs' offensive flow. 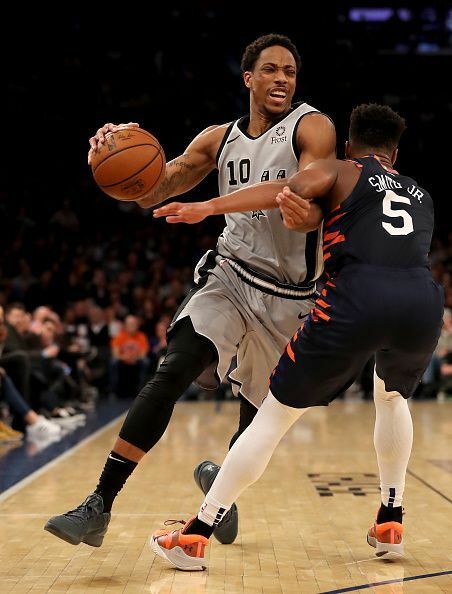 DeRozan is the only Spurs player averaging over 2 turnovers per game at 2.6 but he also dishes out 6.1 assists per game. This game will require the Spurs to gang rebound. They are 5th in the NBA in offensive rebounds given up and 11th overall in defensive rebounds recorded. 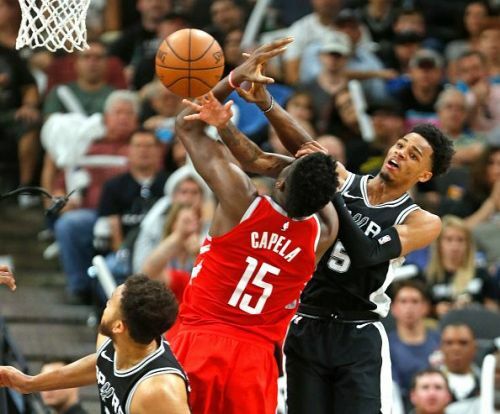 For the Rockets, Clint Capela does average about 4.6 offensive rebounds per game and will be a heavy obstacle to control on the backboards. The Houston Rockets love to shoot the 3-pointer as evidenced by their 44.8 attempts per game, ranking 1st in the NBA. 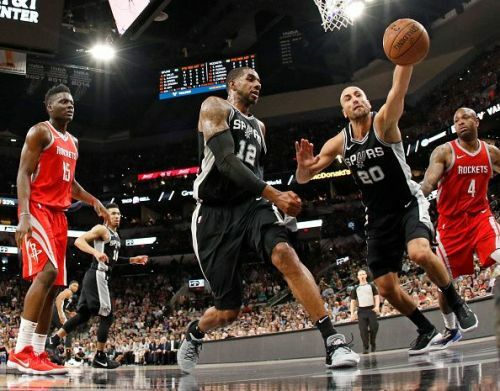 However, if the Spurs can keep the Rockets guards out of the lane on the perimeter, the Rockets only connect on 35% of their 3-point shot attempts which is 19th best in the NBA. Substitutes Danuel House and Kenneth Faried who average 26 minutes a game are the only Rockets connecting on 40% or better from 3-point range. 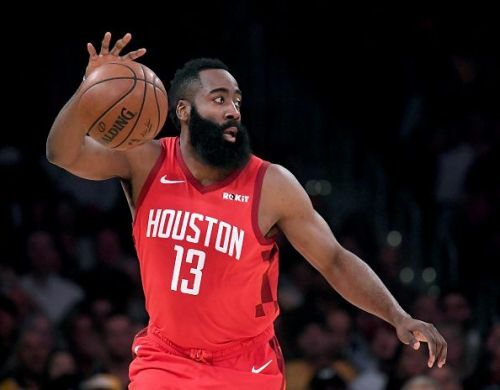 With the exception of Harden’s 5 plus turnovers per game, the Rockets are also fairly good at protecting the ball as they are 9th, averaging just 13.7 turnovers per game. This should be a well played and exciting game as the Rockets average 86.8 shot attempts per game and the Spurs average 88.2. This will also be a game played from a mid-range and long-range perspective. DeRozan is a master at creating offense from the mid-range and Aldridge also has a consistent mid-range jump shot. As mentioned previously, the Rockets love to fire away from the 3-point line. The Rockets are at home. They beat the Spurs the last time they played in Houston and have the potential league MVP in their team. The Spurs are in a statistical tie with the Clippers and Thunder with a record of 42-30 and are looking to move up in the standings. While the Spurs are playing the best basketball of those three teams, the Rockets will be too much to handle in Houston. The Rockets should win by 6.